One in five Canadians will face a mental health issue during their lifetime — an issue touching more lives than diabetes or even heart disease [1,5,6]. Yet mental health remains a taboo subject for many and often goes undiscussed and unnoticed, both at home and in the workplace. For employers, the price of sweeping these matters under the rug can be steep: Lost Productive Time (LPT) due to mental health issues cost North American businesses billions of dollars each year. What can employers do to reduce costs associated with unaddressed mental health issues in the workplace? While absenteeism can easily be quantified because the employee is simply not on site, presenteeism, relating to hindered performance while an employee is in the workplace but unwell, is more difficult to pinpoint. Studies have shown that losses incurred by decreased concentration and motivation, fatigue or faulty decisionmaking caused by depression can represent more than twice the cost of absenteeism – in some cases adding up to more than 20% of an employee’s salary . Although employees with conditions such as cancer, diabetes or heart disease typically use health benefits provided by their employers, those dealing with mental health issues often hesitate to do the same. Because of the stigma attached to mental health issues, many go to work while incapacitated by anxiety, depression or even more serious issues rather than using a sick day for a nonphysical reason such as a mental health consultation – even if it is covered by their employee benefit program. Virtual healthcare apps with mental health services may provide a solution for those suffering from mental or emotional health challenges who are deterred by the prospect of an in-person consult. A survey by the Anxiety and Depression Association of America  reports that 75% of those with an anxiety disorder have not told their employers because they feared it would be interpreted as a lack of interest in their work, that it would affect their promotion opportunities or that it would be recorded in their employee file. Developing mental health programs benefit both employers and employees: A World Health Organization (WHO) study estimates that for every $1 put into scaled up treatment for common mental disorders, there is a return of $4 in improved health and productivity . Risk factors for mental health issues include poor communication by management, low levels of support for employees, inflexible working hours and unclear tasks or organizational objectives. Workplace bullying and psychological harassment are also commonly reported causes of work-related stress and present risks to both mental and physical health . Although employees dealing with anxiety and depression can benefit from improvements in their diet, sleep and exercise regimens, focusing on these solutions alone often misses the mark. For those suffering from mental health challenges, something more than a to-do list is needed. Employers who wish to promote open communication in their organization should send the message that mental health is not a taboo subject and assure employees that talking about it will not have a negative effect on their career opportunities or evaluations. Suffering from anxiety, depression our acute stress reaction? 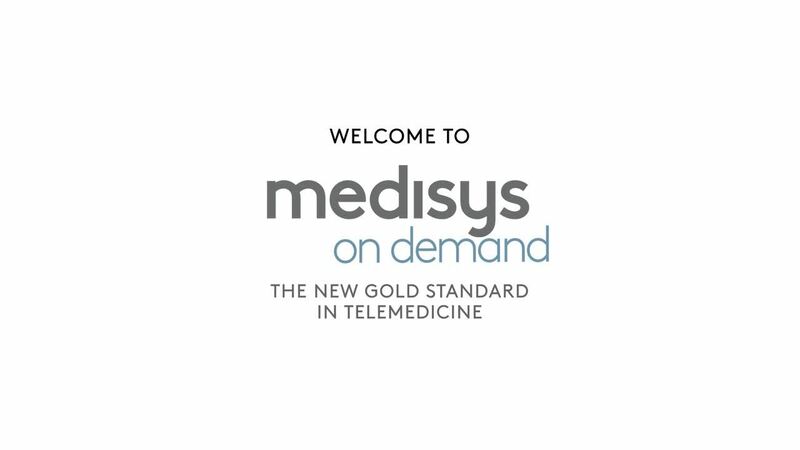 Medisys On-Demand is a comprehensive healthcare solution allowing you to get instant answers to health questions or concerns you may have. Since mental health issues often go unreported, it is important that employees be aware of resources available to them and feel free to access these confidentially when they are ready to do so. An employee facing a depressive episode for the first time is not likely to immediately book an appointment with a psychologist or to contact a virtual mental healthcare provider. It may take some time for them to recognize the symptoms of depression and work up the courage to seek external help. Human and technological resources departments can help ease this process by facilitating early detection of mental health issues, which can then be addressed before they take a toll on employees’ health and productivity. Access to virtual health tools, like the Medisys On-Demand app, can help promote early intervention by giving employees quick and confidential access to a health professional through text and video chat, without the need to take time off for an appointment. Managers can also help in the early detection of mental health issues by being trained to identify distress and mental illness symptoms in employees.